Purchasing Training ~ Are You Killing Yourself with Your Own Warranty Clause? 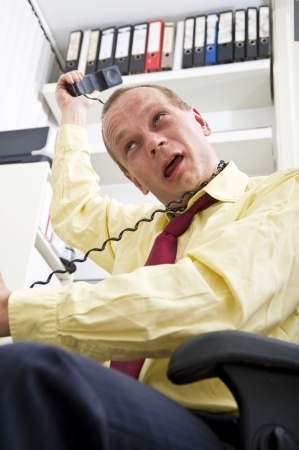 Are You Killing Yourself With Your Warranty Clauses? One of the most misunderstood clauses in any contract is the warranty clause. Purchasing professionals everywhere get it wrong. And the reason why is really simple: the standard warranty language in your contract doesn’t know what you are buying, so it’s not written to help you. Think about it! Your standard contract template doesn’t know if you are buying toilet paper or nuclear weapons. It has no idea. It’s just an innocent piece of paper…a generic template. Only one person can bring a warranty clause to life and make it useful for a specific purchase. Guess who that is? Grab a mirror! It’s the person who is reading this blog! The other problem is that purchasing professionals don’t really understand is what a warranty is, and as a consequence, purchasing professionals tend to measure the goodness of a warranty in terms of how long it lasts….which, on the whole, is completely unacceptable. A warranty is only a promise that something is true. That’s all it is…. nothing more. So throw out this preconceived notion you have that all warranties are good. They’re not. A warranty is neither good nor bad until you read the details. Until then, all the warranty is doing is promising something is true. And that “something” might be something really bad for you!! Great warranty, huh? You see what I did? I warranted – I promised it was true – that if the car ever failed to perform in the next 100 years, I would log the issue. That’s all! That is your wonderful, glorious, remedy for breach of warranty. And it isn’t worth the paper it’s written on! Of course I could have made it uglier, by disclaiming all other warranties, express or implied, but I want to keep this simple for now. Sounds great, right? Well, remember, the contract doesn’t know what you’re buying. The contract presumes it is not critical. Office supplies are not critical. Manufacturing equipment IS critical though, with a capital ‘C’! So how could this clause burn you? Well, what if the supplier takes their sweet time to repair or replace? That clause makes no references to the time frame allocated for doing so. The supplier might take weeks to get their act together, and meanwhile, your company might lose hundreds of thousands, or even millions in lost profits from their manufacturing line being down! And guess what, if the supplier takes weeks, they haven’t breached the contract, because the warranty clause above didn’t state in what time period they would remedy the breach of warranty. Even if it did state time frame, the devil is in the details. When you say “hours” or “days” to remedy, does that mean business hours and days or calendar hours and days? Who pays for the supplier to fly people out and back? Who pays for return shipping of the old equipment? How about installation of the new equipment? Does the warranty start over again for the new equipment? The list goes on and on. Your warranty clause language needs to be customized to fit the purchase. THAT is the bottom line. Give a crystal clear remedy for breach of warranty – WHAT do you want done, HOW FAST do you want it done, BY WHOM do you want it done, HOW do you want it done, WHO will pay the costs for taking care of it (including cost of cover), and whether or not LIQUIDATED DAMAGES should be in place in the event such breach of warranty does occur. Make sure you are effectively covered by your damages, limitation of liability, and insurance clauses in the contract in case of disaster. It’s easy as pie to just grab a contract template, slap a SOW or a set of Specs to it and call it done, but you are ASKING FOR IT when you do that. Contracts are a pay now or pay later process. When you pay later, you will pay through the nose. Don’t do that. Gotta love this stuff. Getting good at contract law is the most liberating feeling a purchasing professional can ever experience. I promise! See you next week! Previous post: Look at What Currency Risk is Doing to Your TCO! Next post: Purchasing ~ Are Your Single/Sole Sourced Suppliers Price Gouging You?